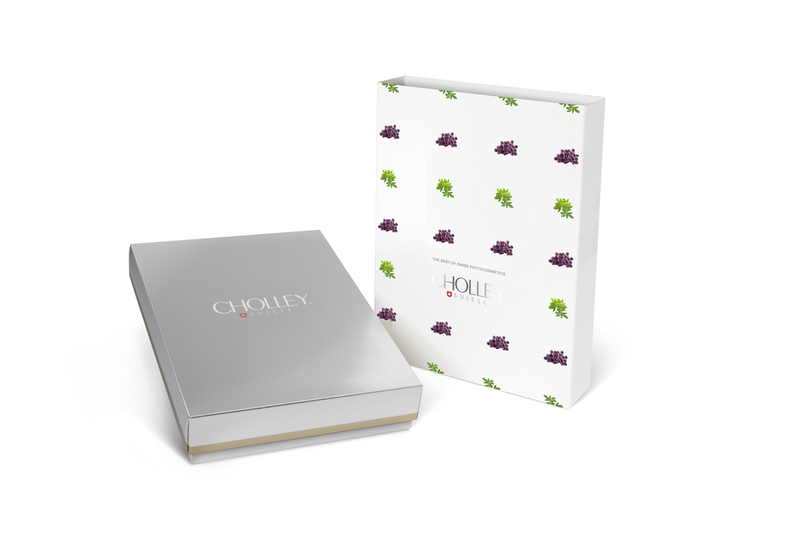 A very Exclusive CHOLLEY Swiss Whitening Box that includes CHOLLEY Phytocell Whitintense Serum, the Super Premium Serum with intense skin whitening action for face, neck and décolleté, and CHOLLEY Phytocell Harmonizer, the Super Premium Serum with powerful whitening action on localized age-spots and dark patches. For best results, in the morning and evening, after thoroughly cleansing of the face, neck, and décolleté, apply CHOLLEY Phytocell Whitintense Serum to the entire area with a light massage. To combat hyper-pigmentation (age spots, dark patches, or melasma) in the morning and evening, after thoroughly cleansing, apply CHOLLEY Phytocell Harmonizer to the localized hyper-pigmented area of the face, neck, and décolleté. During the day for UV protection, follow the application of the products with CHOLLEY Alpine Solar Defense – SPF 50 as a sunscreen.